Some really cool new papers are out on the human microbiome today. But alas that is not what I am here to talk about. I am here, once again, to complain about overselling the microbome. 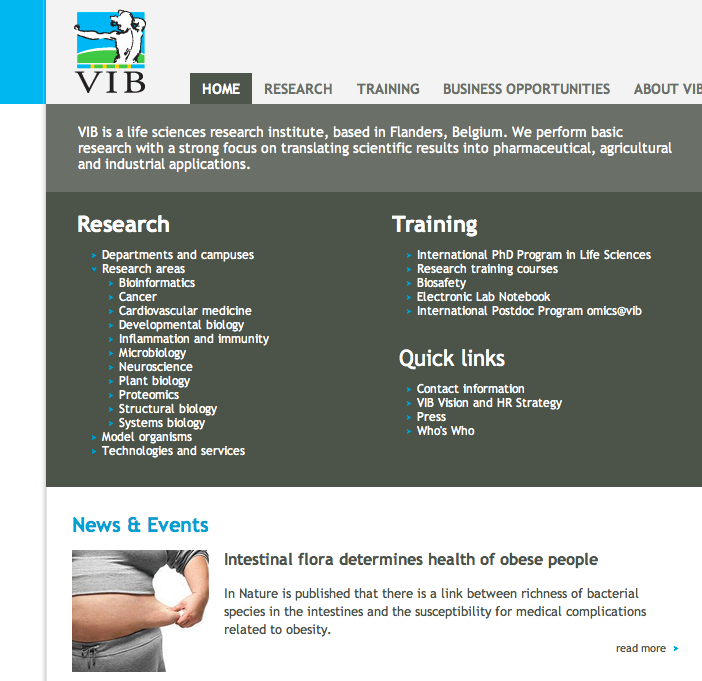 There is a headline from a press release from one of the institutes involved in one of the new studies that really irks me: “Intestinal flora determines health of obese people“. As far as I can tell from reading the paper under discussion in this PR, nothing showed that the flora “determined” the health of obese people. Yes, the flora had really interesting correlations with health status. But “determines health” implies that the flora were the causal component of the health of obese people. And as far as I can tell this was not shown. What was shown was that the microbial communities – and some metrics of those communities like richness – can help predict risk of individuals for various health related ailments. So – the reviewers and the authors seemed to have been relatively cautious in the text of the paper. And the paper is fascinating and filled with important details. But the headline in this press release has the potential to do damage to the whole field – especially as it gets taken up by the press. And that is a shame. The human microbiome is clearly important. Why oversell it with BS like this? 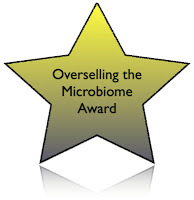 Thus I hereby award an “Overselling the microbiome award” to the VIB Institute for their press release.